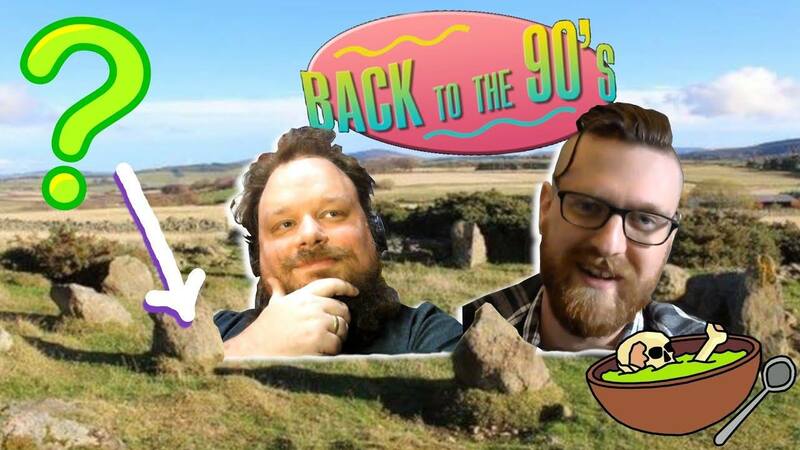 In an extended interview with the our partner, the archaeology website Archaeosoup, archaeologist Neil Ackerman has explained the background to the intriguing story of the Scottish prehistoric stone circle which wasn’t, because the farmer who built it less than thirty years ago came forward following the publicity in Scottish and international media. Orkney based Mr Ackerman, who is himself a specialist in the Neolithic period, explained to Marc Barkman-Astles of Archaeosoup how the initial tip off about the stone circle came from a colleague at Aberdeenshire council who owned the neighbouring farm to the site, which lies on a farm in the rural parish of Leochel-Cushnie, to the west of the city of Aberdeen in the north east of Scotland. Photographs of the mysterious new site seen by Mr Ackerman appeared to show a circle of rough stones in a formation which resembled strongly a known type of prehistoric feature called Recumbent Stone Circle, and as a result Mr Ackerman, contacted a colleague at Historic Environment Scotland, Adam Welfare, who is a specialist in that type of monument, which is unique to the north east of Scotland. Following site visit where Mr Ackerman and Mr Welfare were joined by surveyors Alison McCaig and Katrina Gilmour, also from Historic Environment Scotland (Survey and Recording), the archaeologists determined among other things that, while perhaps three meters smaller in diameter than might be expected, with the stones proportionately smaller to match, the site was in a position overlooking an attractive view and faced in the right direction for a genuine stone circle. This meant that, if genuine, the site could be as much as four thousand five hundred years old. The archaeologists had also carried out a routine examination of maps and air photographs and found that they could not identify the site. However, on the site visits they had noticed that the stones were hidden from view from certain viewpoints, which could account for the circle being absent from first and second edition Ordnance Survey maps which relied on surveyors on the ground. They also observed that the site was located in the middle of a patch of dense gorse, which appeared in the same shape in air photographs taken in the 1940’s. This suggested local farmers had avoided ploughing, or otherwise clearing the site. This can be a tell tale feature of sites with large stones, or other features, which cause difficulties to farmers. However, unfortunately there was not enough definition in the air photographs to be able to confirm if the stones were present when the shots were taken or not. Given the inconclusive nature of the mapping and air photographic evidence, the thought that the stone circle might be of more recent origin was seen as a possibility. As Mr Ackerman confirmed during the interview, modern people do sometimes put up replica Stone Circles. However, he noted that these replicas often consist of obviously quarried and dressed stone, or are made from stones obviously reused from other buildings. These features were not present on the stones at the new site. However, the stones did have a rich covering of lichen adding to the sense they might be very old indeed. Having undertaken this due diligence and with the word about the mysterious new site spreading, the decision was taken to go public with the discovery. The initial press release authored by Mr Ackerman and edited and published by Aberdeenshire Council’s press office, and picked up by other media, confirmed that the site conformed to the general characteristics of a Recumbent Stone Circle, notwithstanding that there is a lot of variation in the form of these sites. With word spreading among the public and the media anyway, Mr Ackerman and his colleagues decided to go public once more with a second press release, while Historic Environment Scotland also issued it’s own blog post. Mr Ackerman also explained that at the same time as the story was going viral in the traditional and social media, the ongoing research into the site was raising more questions suggesting that the site might not be all that it had seemed. However, the archaeologists were then overtaken by events. but, he added, there were also circumstances pertaining at the time the story broke which might have led to the media paying it more attention to the discovery than might otherwise have been the case. Mr Ackerman also admitted he was surprised by the extent his own Twitter posts were taken up and embedded by other users, adding ruefully. However, he felt strongly that the episode had a more important lesson for archaeologists, in that in an era when the roll of the expert is being scrutinised more closely than ever by the public, the media and politicians, humanising the processes behind those expressions of expertise was an important thing to do. perhaps be a part of the site as it’s reported, because their perceptions do effect what the outcome of the investigation is. He explained, that archaeologists place themselves outside of the past observing it, whereas in this case, as an archaeologist, you have the rare chance to talk to someone who had actually built a monument in that landscape and find out how and why things were done in ways you cannot in the case of a genuinely prehistoric site. Neil Ackerman spoke to Archaeosoup on 19 February 2019.